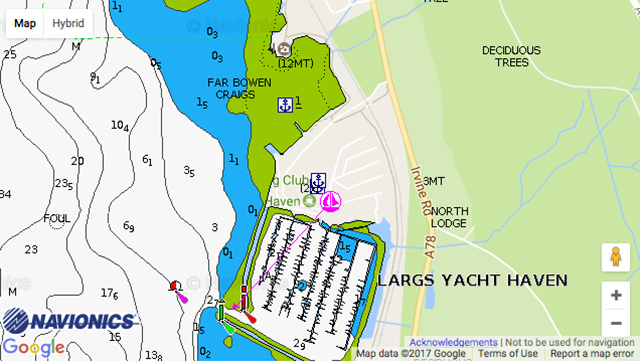 Largs Yacht Haven: UK Coastal Marina of the Year 2017 (over 250 berths)and 5 Gold Anchor marina. Situated in sheltered scenic waters adjacent to a lively tourist town the Yacht Haven has all tide access. Sublet refunds are paid when berth holders are away. Free berth exchange with Troon Yacht Haven, exchanges arranged with other Yacht Havens. 5% discount on fuel sales to all annual residents. Free wifi. Storage ashore included in annual berth. Bike hire available for boat owners. 24 hour most helpful staff, and diesel/petrol/gas sales.